The CrowdConsortium is pleased to provide meeting details for the National Meeting from Wednesday, May 6, to Friday, May 8, to explore the potential for crowdsourcing to broaden the reach of a diverse array of institutions. “Engaging the Public: Best Practices for Crowdsourcing Across the Disciplines” will be hosted at the University of Maryland. Through a mix of formal and informal presentations combined with breakout sessions, we focused on the question of how researchers and institutions might best leverage crowdsourcing strategies for increasing public engagement, integrating data into existing collections, and improving knowledge production in a variety of domains. 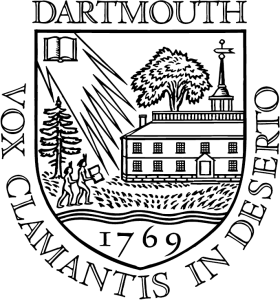 The consortium began through a series of regional meetings and webinars instigated through the auspices of Dartmouth College’s 2014 IMLS-funded National Forum in Crowdsourcing for Libraries and Archives: Creating a Crowdsourcing Consortium. Funding from the National Endowment for the Humanities (NEH) and the Institute of Museum and Library Services (IMLS) and the Sloan Foundation supports this initiative. Lead organizers included Dartmouth College and the University of Maryland-College Park, with additional support from the Alfred P. Sloan Foundation. We encouraged interested members of the public to participate in this event through the live webcast, which was recorded and accessible here for selected presentations, as well as the #crowdcon Twitter conversation. Amanda Visconti (@Literature_Geek) has compiled notes (images, tweets, and links) using Storify. Check it out! Notes from a discussion of crowdsourcing tools started by Ben Brumfield and other attendees from #CrowdCon. List of Crowdsourcing Projects and Tools. Read and Contribute! Follow the live conversation on Twitter, using the hashtag #crowdcon, and follow @crowdconsortium on Twitter. 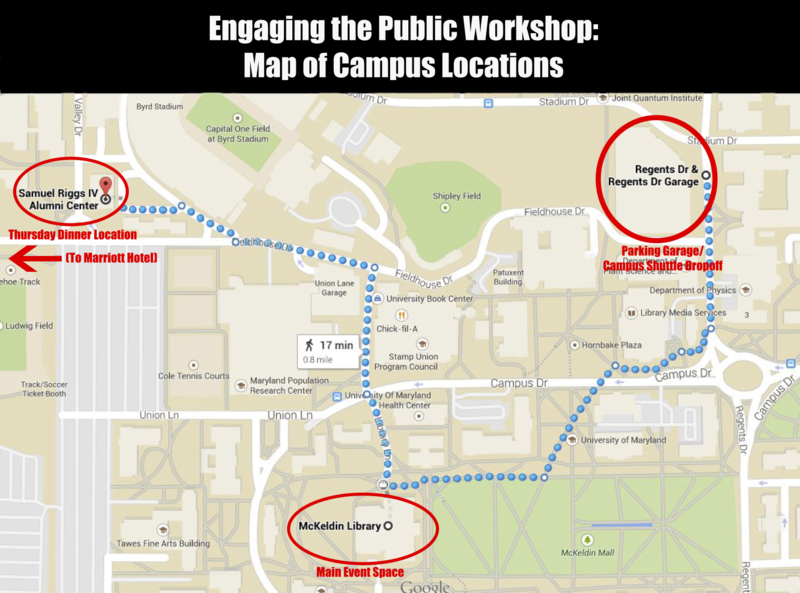 Engaging the Public will take place on the campus of the University of Maryland, College Park. Directions to and from Campus are available here. Below is a campus map with the meeting, parking, and dinner locations marked. Walking between each location takes approximately 5-10 minutes. Although walking is the fastest and most direct method, campus shuttles are also available for these locations. Campus Shuttle Routes 118 Gold (evening route) and 125 Circulator both pass by the hotel area and don’t require ID to board. You can also take the Route 104 shuttle from the College Park Metro station to campus. If you are a local participant or have made other travel arrangements which involve not staying on campus, you should have received an email with instructions on how to use a designated parking code in the Regents Drive Parking Garage (see map of campus locations for the workshop). If you did not receive an email about this and require a code, please email Stephanie Sapienza at sapienza@umd.edu.